Today in Masonic History John Judson Bagley passes away in 1881. John Judson Bagley is an American politician. Bagley was born in Medina, New York on July 24th, 1832. He was initially raised in Lockport, New York. At the age of eight he would move with his family to Constantine, Michigan. At the age of 13 the family would move again to Owosso, Michigan. At the age of 15, Bagley would move to Detroit, Michigan to become an apprentice with a small chewing tobacco shop. Seven years later he would buy the shop and rename it the Mayflower Tobacco Company. At the time Chewing tobacco was a big industry in Detroit and Bagley would turn his company into an industry leader, competing against some of the biggest companies in Detroit at the time. By 1854, Bagley was getting involved in politics. He would help to found the Republican party. The new political party would go up against the dominant Democratic party of the time. The new Republican party was made up of anti-slavery activists, modernizers, ex-whigs, and ex-free soilers (people fighting to have new states enter the country as free states). In 1855, Bagley would be elected to the Detroit Board of Education. He would hold the position until 1858. Through the 1860's Bagley would hold various positions in Detroit city government. From 1860 to 1861 he would be on the Detroit Common Council. From 1865 until 1872 he would be on the Detroit Board of Police Commissioners. Bagley would help to organize the Michigan Mutual Life Insurance Company, serving as it's president from 1867 to 1872. He would also be the chairman of the Michigan Republican party from 1868 to 1870. 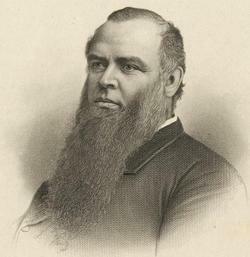 Bagley was elected as the Governor of Michigan and served from 1873 to 1877. During his term as Governor he encouraged the establishment of a state commission to regulate railroads, dealt with the matter of juvenile delinquency, and led the effort to establish the state Board of Health and the state Fish Commission. Bagley was also an enthusiastic support of a liquor tax, this came from his devout religious views. Bagley would pass away in San Francisco on July 27th, 1881. Bagley was a member of Charity Lodge No. 94 in Detroit, Michigan.